Hello Vivo Y81i owners, good news for you guys, now Remove Vivo Y81i Pattern lock, Password, Pin lock very easily without any box, we all know now Remove Vivo 1812 Screen Lock is too difficult to remove without data loss, but now we find a way to remove it, follow the below tutorial. What is Screen Lock protection for Vivo Y81i? -To Remove Vivo Y81i Pattern lock you need to download some files. check below you will get all the files, first of all, download the “Remove Vivo 1724 Screen Lock tool” with Vivo USB driver. -There you will see “Port” click on the “Port” and there you will see “MTK USB Driver”. 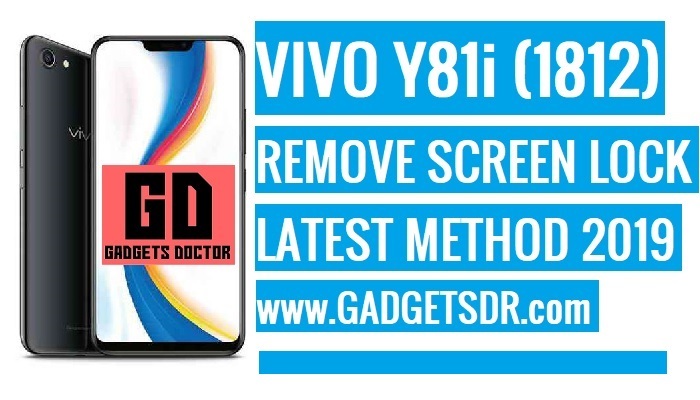 -Now you have successfully put your Vivo Y81i into EDL Mode to Remove Vivo 1812 Screen Lock. Thanks for visiting us, Comment below if you face any problem With This Remove Vivo Y81i Pattern Lock (Remove Vivo 1812 Screen Lock), we will try to solve your problem as soon as possible. you can check other some tutorial here to help you.